The Mesa, AZ area knows if there’s ever an issue with garage doors, United Garage Doors can be counted upon time and again for repairs, maintenance and other garage door-related services. For over ten years, we’ve retained the top position in the garage door services industry and have been lauded by innumerable clients, thanks to the outstanding caliber of the team we’ve employed. Their work ethics and excellent interpersonal skills make them keen listeners to your concerns while their vast knowledge allows them to provide solutions that are the perfect fit for your budget. 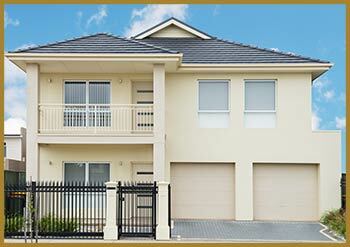 United Garage Doors stocks some of the best doors that are both trendy and safe at the same time. They are designed to address your requirements and fit inside your budget rate as well! From a powerful robust steel garage door to make the safety and protection of your home solid, all the way to a more simplistic and artistic wood-crafted garage door, we have it all! Our range of doors can be very easily and swiftly customized to your needs. We only use the best components and get them from the biggest brands, so that you are assured that a United Garage Doors product will be nothing but the best of everything. 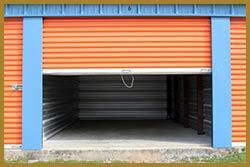 Garage doors are generally not designed to hold against harsh weather conditions, the rain, the winds and the snowfall. Moisture can seep in through the small gaps and tiny crevices. They are very much unable to protect the inside of your premises from the ever-changing weather conditions, and temperature modulations. And for this, you must use weather stripping for your Garage doors. United Garage Doors provides very efficient weather stripping installation service that protects the inside of your garage from changes in temperature, noises and the irregular weather. From fixing the new weather stripping to replacing ones that are worn out, we do everything to make sure that your garage remains just as comfy as your house!